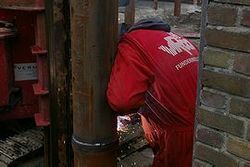 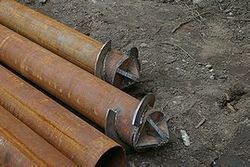 After having produced the first steel tubular piles that have been driven into the tube, we have switched to the low-vibration production of drilled steel tubular piles. 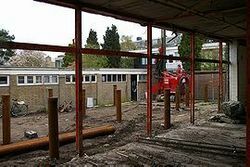 Project AH supermarket. 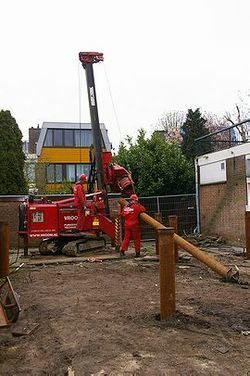 Opened in 2006. 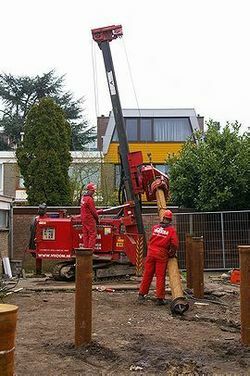 Expanded in 2009. 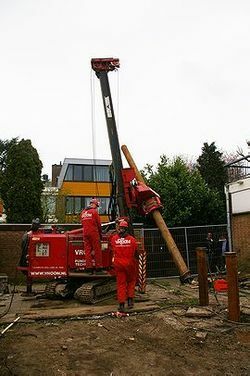 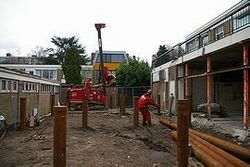 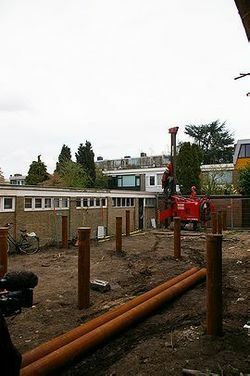 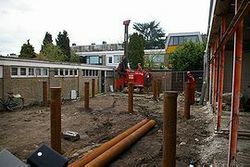 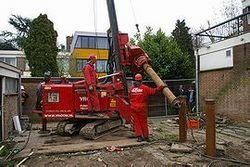 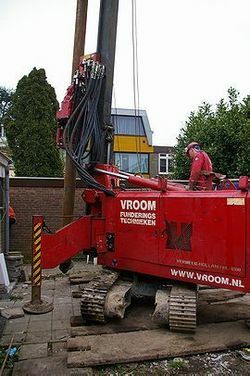 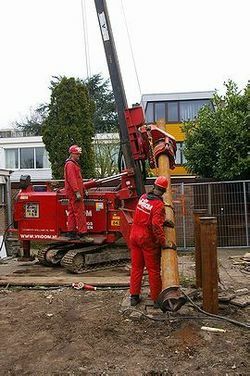 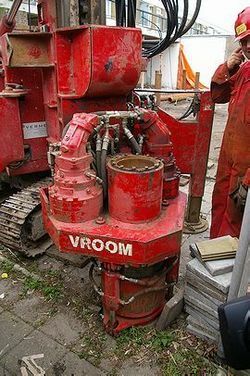 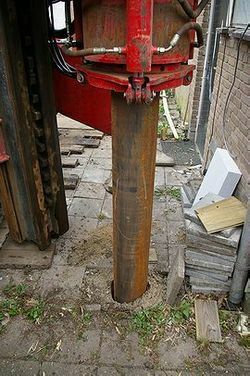 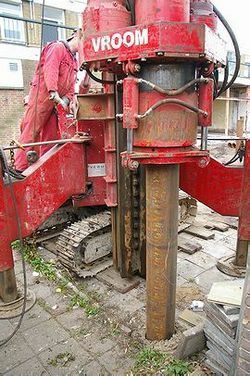 With the Vermeer 840, first 6 piles measuring 3,2 m long and a 273 mm diameter have been driven into the tube.